Get real world experience with field attorneys, and perform complementary coursework under the supervision of Tulane faculty. 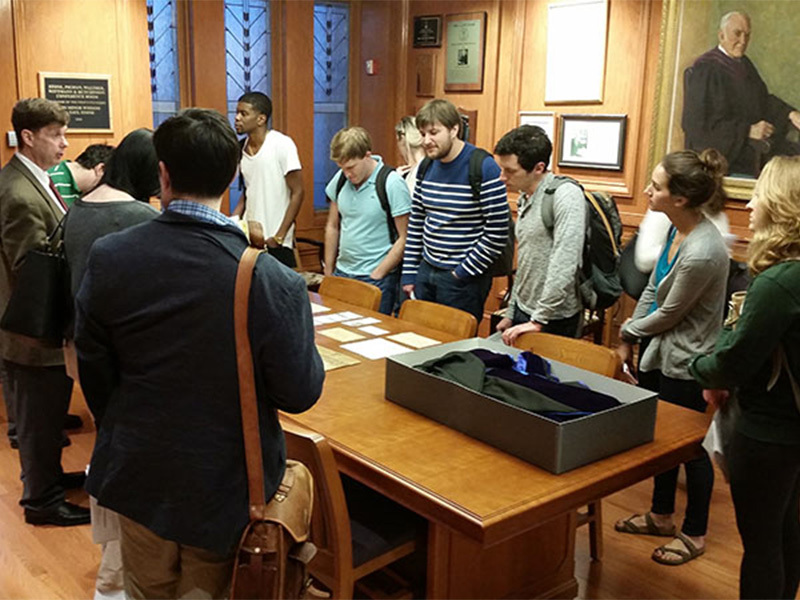 Tulane externships open the door to endless possibilities for studying the law in action. Students perform fieldwork on site in a variety of bustling legal practice settings: state and federal courts, government bodies, public interest legal organizations, and in-house corporate counsel departments. Under the mentorship of experienced attorneys, students may focus on specific lawyering skills or a specific area of the law. They may draft legal opinions, interview vulnerable clients, research novel legal issues, or shadow an attorney at trial. The externship program offers a wide variety of vetted semester- and year-long field placements in the New Orleans region, as well as summer placements locally, nationally or across the globe. Externships require a classroom seminar, faculty supervision, writing requirements, guided reflection, and evaluations. Learn how to represent the government and serve the public through placements such as the City Attorney's office, the U.S. Attorney, the Equal Employment Opportunity Commission, the U.S. Coast Guard, and the Internal Revenue Service. Learn how cases are decided by clerking at a trial or appellate court in the state or federal system. Explore the role of the judiciary, improve writing skills, observe oral arguments and trials, and gain an insight into the crafting of legal opinions, orders, and judgments. Advocate for clients facing domestic violence, deportation, discrimination, incarceration, and other urgent legal problems at offices like the Orleans Public Defender, Southeast Louisiana Legal Services and the Southern Poverty Law Center. Consider the role of lawyers in striving for access to justice, fair trials, and equal treatment for low-income and disadvantaged individuals. Learn the ropes of serving as in-house counsel in a corporate setting, including at the Saints and in other sports, entertainment, energy, health, and banking sectors. Work in a field placements from Louisiana to London as a lawyer in training to develop lawyering skills and professional responsibility, while paired with a Tulane faculty member who supervises written coursework. In the past students have worked for places from the Rwandan Supreme Court, Public Defender Service, or Sony Music. Unlike the academic year externship courses, summer externs will independently secure their externship placement site before being accepted in the summer externship course, and they must apply through the Office of Experiential Learning to take part in the course between Feb. 1 to March 31. Students who plan to work at sites apart from Tulane's academic year externship sites (listed here: Public Service Externship Placements) must ensure their site completes the Summer Externship Site Request form. The site must conform to Tulane’s eligibility requirements: namely, that the site is a nonprofit, government office, judicial chambers, or general counsel’s office within a corporation; that there is a supervisor who has been barred for a minimum of 3 years; that there will be sufficient and regular supervision and oversight of the extern; that students will be assigned substantive lawyering tasks; and that sites will comply with program requirements including approving electronic timesheets and providing a final evaluation of the student.